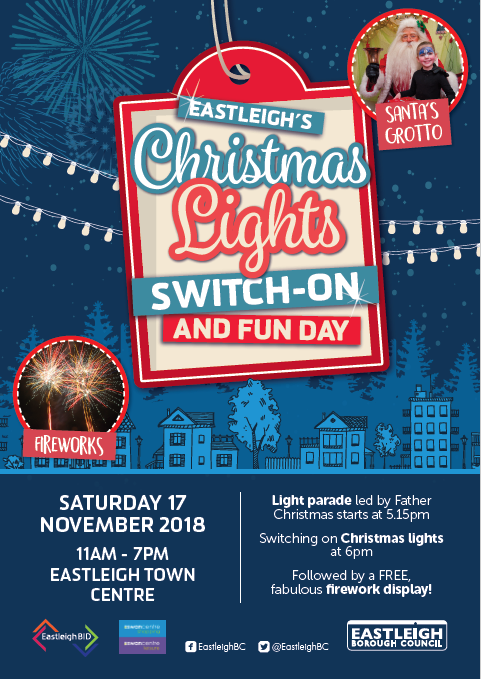 The Eastleigh Christmas Lights Switch-On & Fun Day brings entertainment, including a spectacular torchlit parade, to the main shopping centre and culminates in a magical firework display to start off the festive season with a bang. 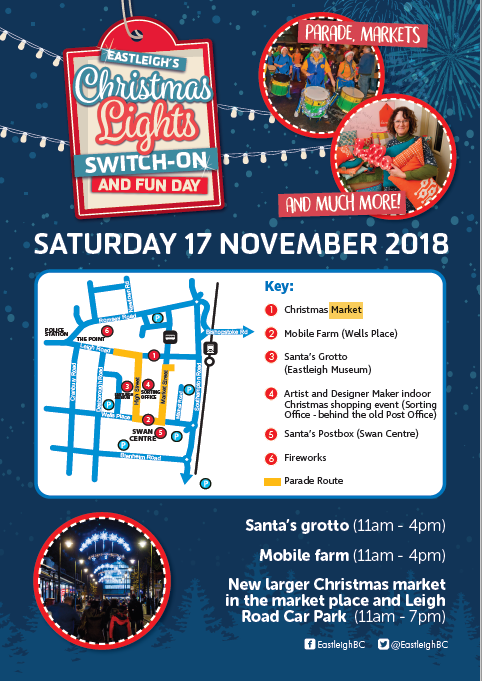 The free family day out, that runs from 11am, features Santa’s Grotto, street entertainment, live music, and even a mini-farm for the children. Eastleigh’s Deputy Mayor, Councillor Darshan Mann, will be assisted by Santa and a couple of his elves who are taking time out from the North Pole to attend. The light parade, featuring the Romsey Old Cadets Marching Band, Ocean Brass, jazz and pipe bands begins at 5:15pm – with the switch-on of the lights, which are inspired by snowflakes and stars, at 6pm from the bandstand. This year’s firework display is themed on the iconic aircraft, the Spitfire, that was built locally and flew from Eastleigh’s Aerodrome. You can find a unique Christmas gift at a variety of vintage market stalls and at the Sorting Office, Eastleigh’s artist and designer-maker studios off the High Street – and don’t forget the town centre’s great range of big brand and niche retailers. Make a day – and a night of it – with Eastleigh’s excellent choice of bars and restaurants – and don’t forget the free parking after 6pm in the Swan Centre. The event and lights are co-organised and funded by the Borough Council and the Eastleigh Business Improvement District (BID).